From the author: Stargirl. From the day she arrives at quiet Mica High in a burst of color and sound, the hallways hum with the murmur of “Stargirl, Stargirl.” She captures Leo Borlock’s heart with just one smile. She sparks a school-spirit revolution with just one cheer. The students of Mica High are enchanted. At first. Read this book in public. Everyone needs to see you read this book. It’s important. This mood will make you happy. It will also make you think about life. You will want to live your life like Stargirl. Embrace your inner Stargirl please. Stargirl, Is a definite yay. I want to be Stargirl. 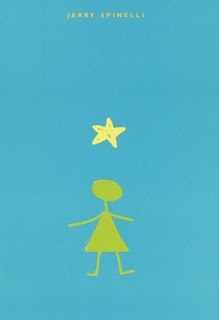 Ever since I read this book, I have tried to be as easy going as Stargirl. 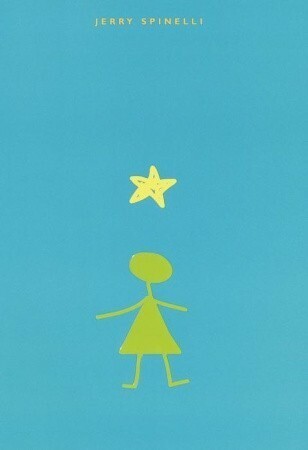 If we could all just be like Stargirl, I think we would all be a lot happier. I like Leo. He’s nice. But he’s the complete opposite of Stargirl. He’s a people pleaser. He follows the crowd. I’d like to just sit down and talk with Leo about embracing his inner Stargirl. Archie Brubaker- He is wonderful. He is Stargirl’s teacher. He only teaches on Saturdays. He is a retired paleontologist. He is so smart and the sweetest man ever. I just love him. Señor Saguaro- A cactus. Yes a cactus is under character fever. Archie consults Señor Saguaro everytime Stargirl or Leo asks a question. This cactus is smart! Dori Dilson- Dori is Stargirl’s best friend. She accepts Stargirl, and Stargirl teaches her to open up and be herself. Hillari Kimble is crusty. She’s a mean person and I don’t like her. She turns the whole school against Stargirl. I love the book cover. It’s simple. The title is a star symbol and a girl stick figure symbol. It’s so creative. It’s probably one of my favorite book covers. I Won’t Give up on us by Jason Mraz. This song just describes Stargirl. It’s perfect. I recommend you to read The Perks of Being a Wallflower. Charlie’s way of thinking is kind of like Stargirl’s. I have already reviewed The Perks of Being a Wallflower. Click here. Love, Stargirl. It’s amazing. Read it. I give this a 3. This book is amazing, but I just wanted to know more.